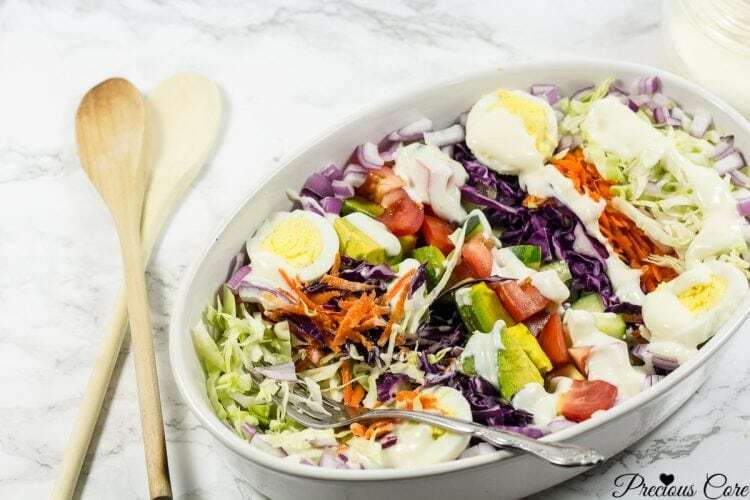 This Cameroonian vegetable salad is loaded with carrots, cabbage, hard-boiled eggs, avocado, tomatoes, cucumber and onions. 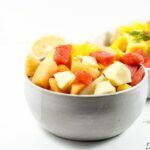 It is so fresh and bursting with the perfect blend of crunchy and creamy! The salad dressing, mostly known as salad cream in Cameroon is absolutely to die for. It is the perfect marriage of creamy, tangy and sweet. My ‘secret’ weapon ingredient in the dressing is condensed milk. That, combined with mayonnaise, vinegar, oil and salt is the truth. 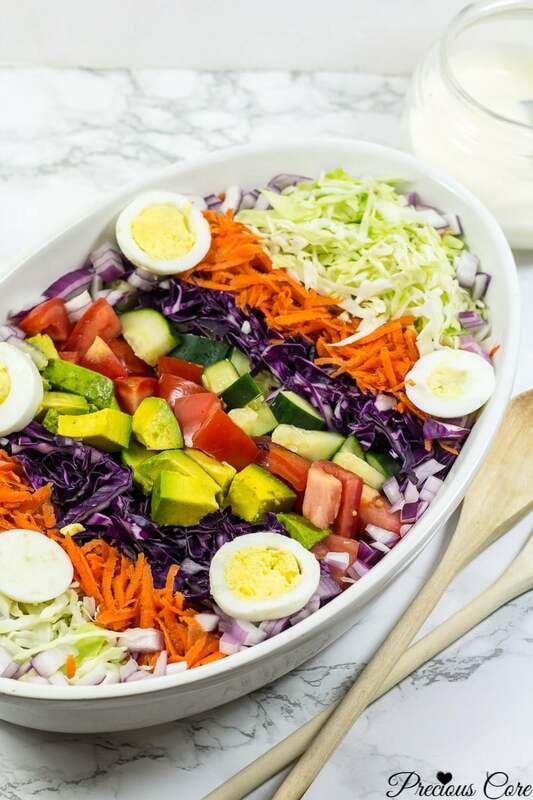 Right after filming the video for this recipe, I sat down and ate a whole bowl of salad. A whole bowl! It is ahb-solutely ah-mazing. 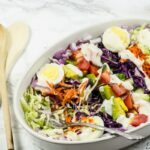 I have a step-by-step picture style post where you can see how I make this salad. You can view that here. Today, we are taking it a notch further with video. 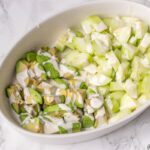 You will see how to make the creamiest salad cream with mayonnaise. You will want to put this Cameroonian salad dressing on everything, I promise. I could happily live ever after with this salad. Watch the video to see me making some then RUN to a store/market to get all the ingredients and MAKE SOME. Meanwhile, if you are not yet subscribed to my YouTube channel, click here to subscribe so you do not miss any of my cooking videos. 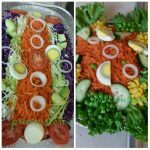 This is the primary way vegetable salad is made in Cameroon. 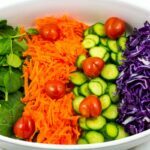 A bunch of vegetables are chopped, then laid on a tray/salad bowl decoratively. The salad cream/dressing is absolutely to die for. It is extra creamy, sweet and tangy. Chop all the un-chopped vegetables into bite-size pieces. Also chop the eggs and avocado. Arrange them all on a tray/bowl in any pattern you like. 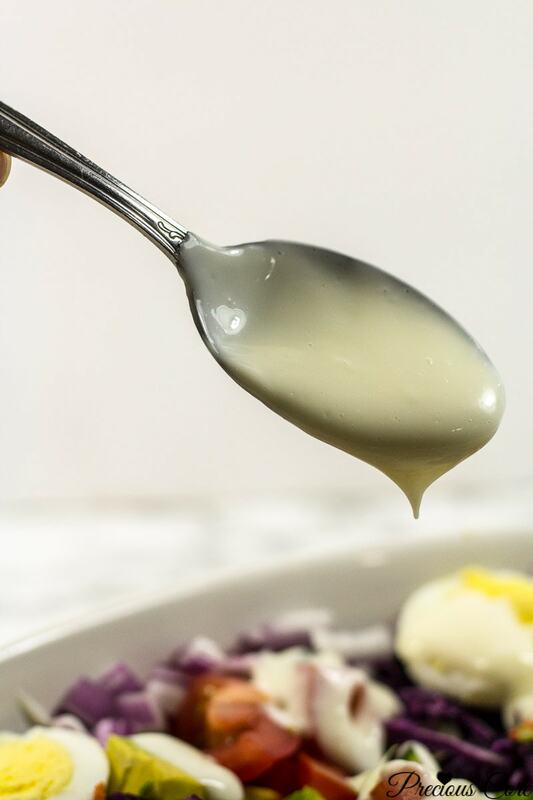 To make the salad cream: Combine all the ingredients and whisk until smooth. You could equally blend them or put in a container with a tight lid and shake until smooth. 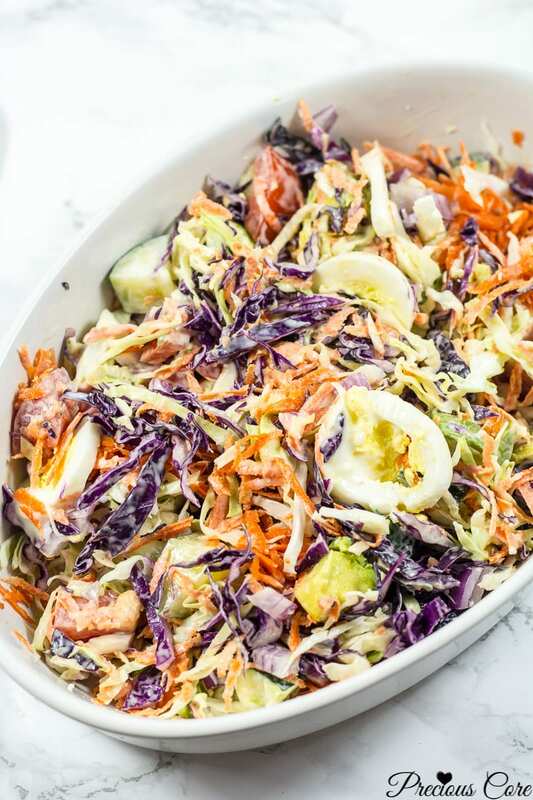 Pour the dressing over the vegetables and enjoy! 1. Instead of cabbage, you could use lettuce if you prefer. 2. For a healthier salad dressing, combine equal parts of vinegar, oil and honey. Season with salt and ground black pepper. 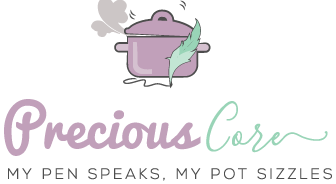 If you make this recipe, please share a photo and tag me on Instagram: @preciouscore. 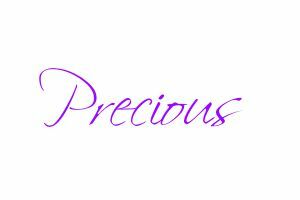 You could also share a photo on my Facebook page: Facebook.com/preciouscore. Ah Precious my cooking genius, you have come again. This looks sumptuous. Thanks for the sweet words, Odet. Hi Lucy, I use Kraft mayonnaise but the brand doesn’t matter. Any brand of mayonnaise will work. Yes, it’s the same white vinegar used in cleaning. I think regular sweetened condensed milk is fine. The extra sweetened one might be too sweet.